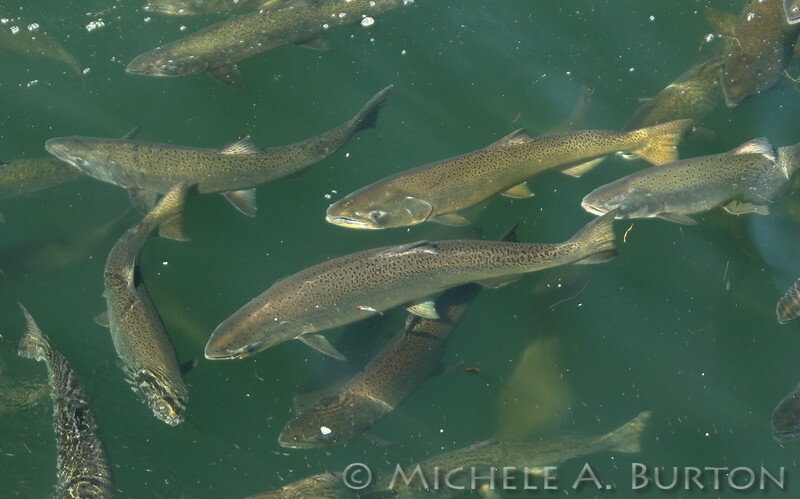 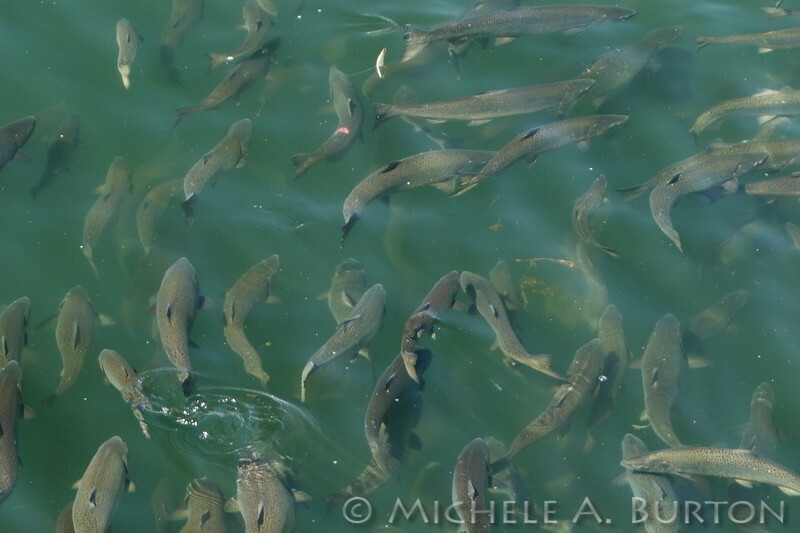 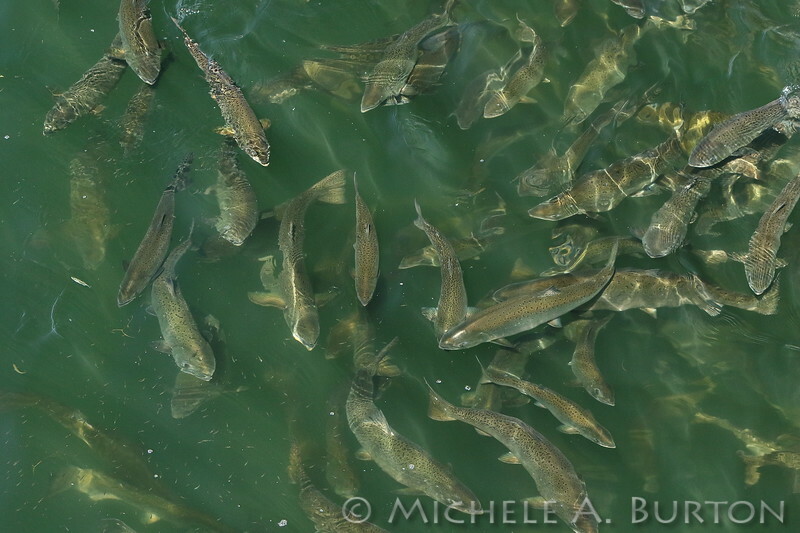 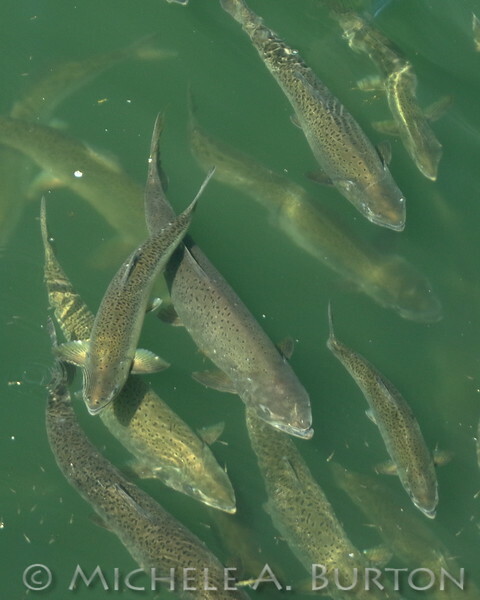 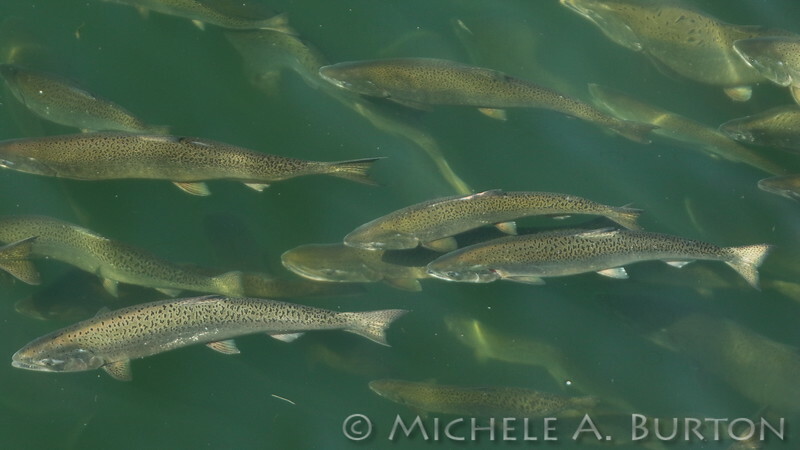 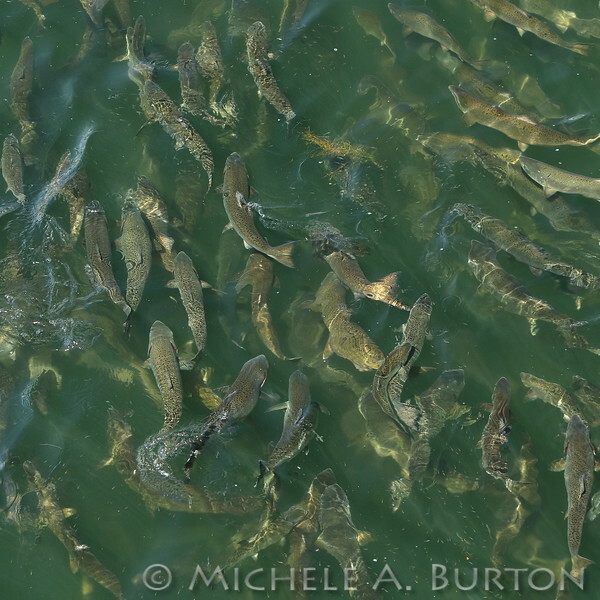 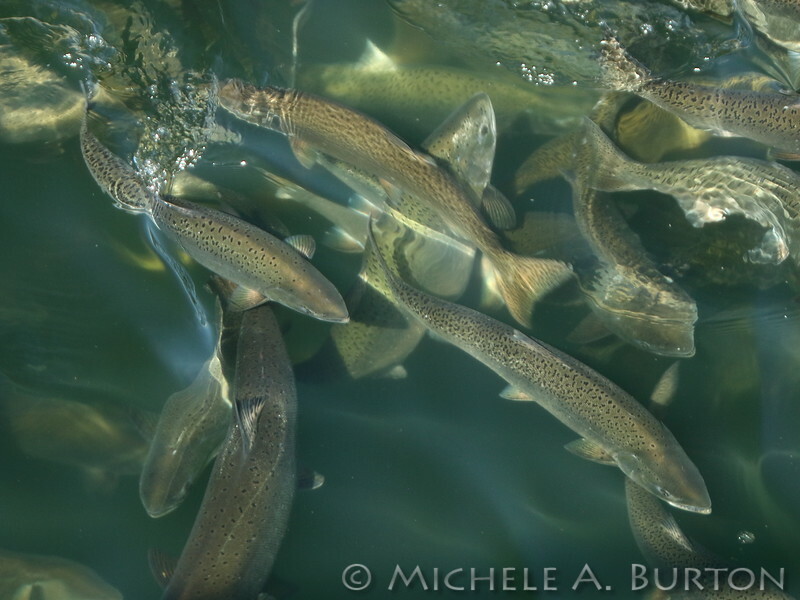 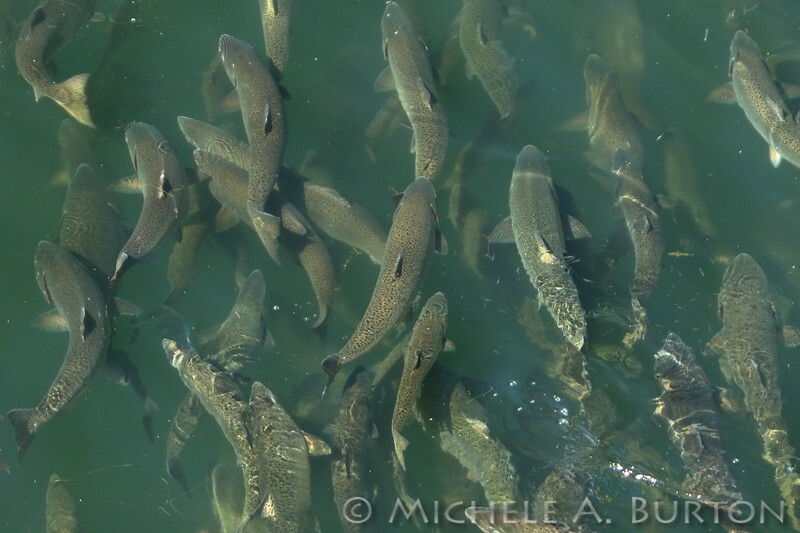 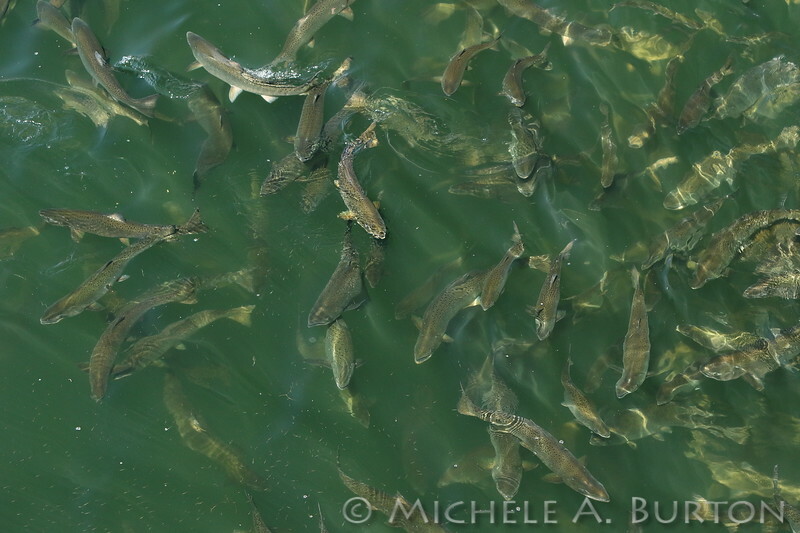 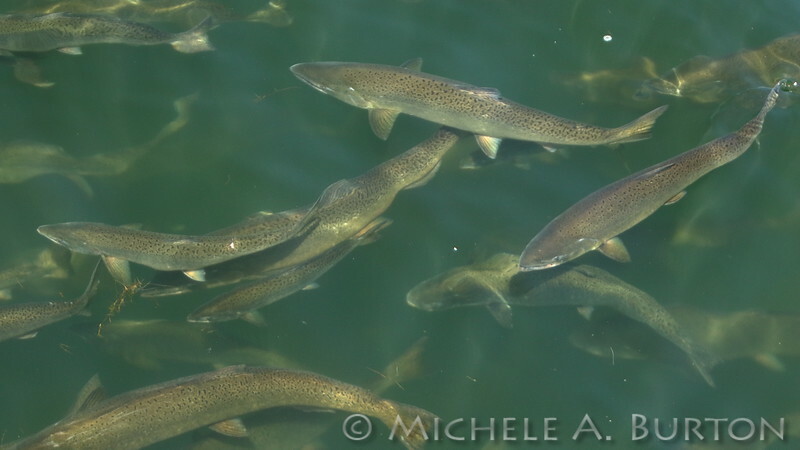 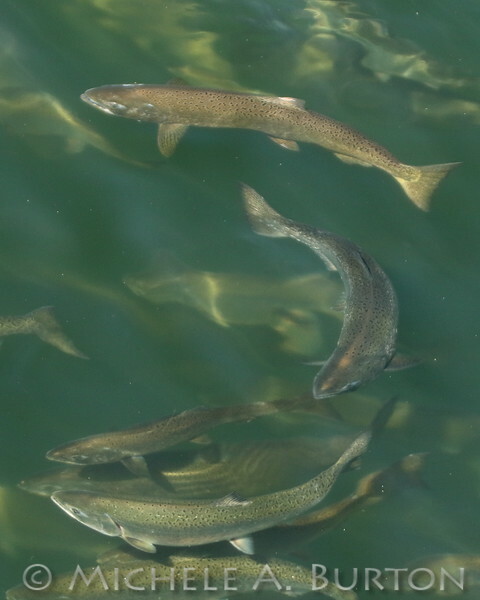 Everybody eats during the Fall Chinook run. 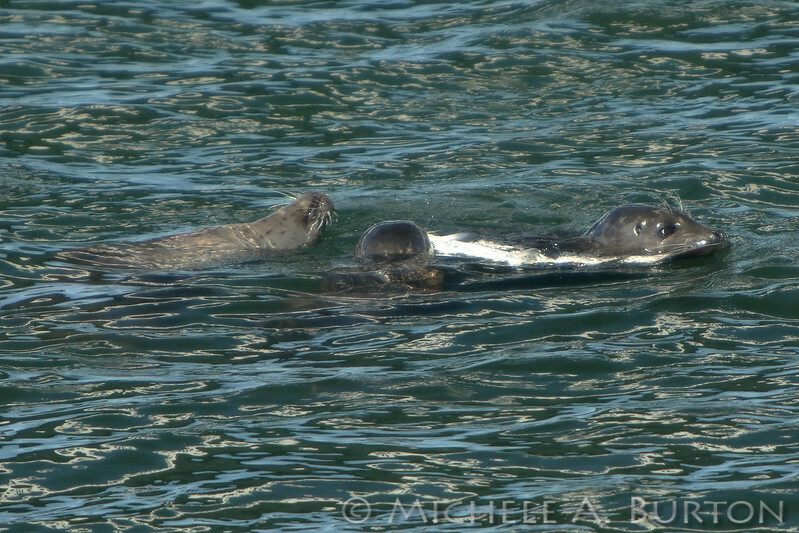 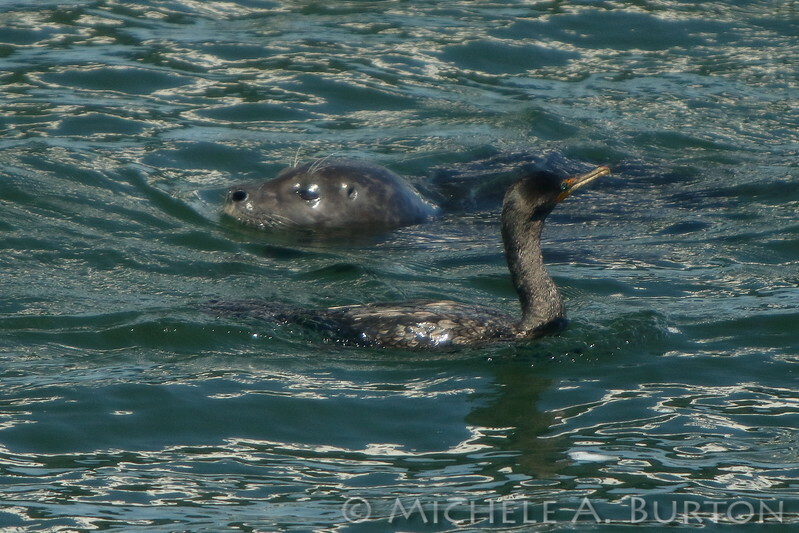 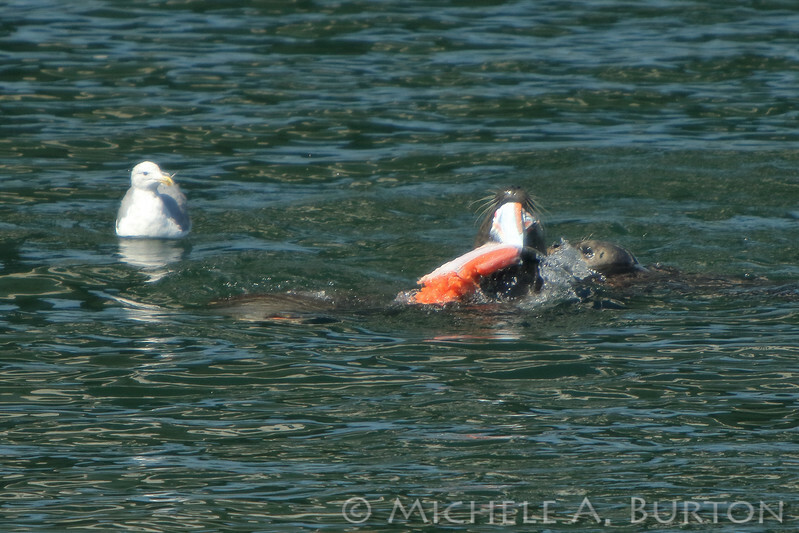 Harbor seals and cormorants each enjoy the good eats. 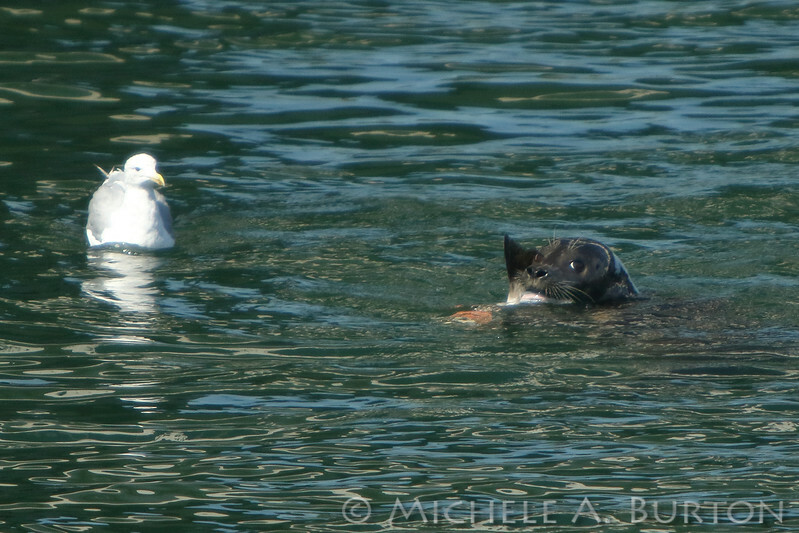 Like the gulls, the cormorant is hoping for some leftover scraps from the seal's supper. 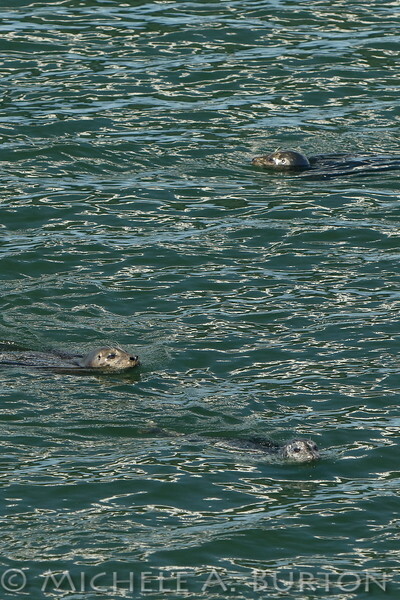 Three Harbor seals anticipate their next salmon feast during the Fall Chinook Run in Olympia.